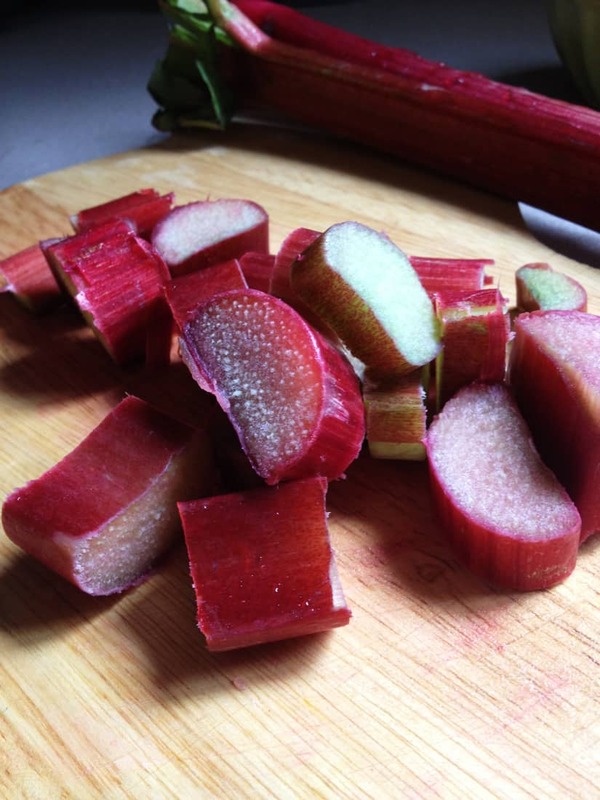 You either love rhubarb or hate it. I fall heavily on the love side. This rhubarb syrup is a lovely dusty pink color. It’s easy to make and adds a great addition to pancakes, salad dressing and drinks. I’m crazy about rhubarb. It’s one of the things I most love about spring/early summer (aside from the lengthening of the days and the slowing of the rain and the appearance of dandelions). Rhubarb pie (with or without strawberries, or dandelions, baked or no-bake), crisp, smoothies, sauces, jam, drinks, the outer ‘skin’ peeled off and dipped in sugar and eaten raw, cooked into a chunky warm sauce and poured over ice cream…you name it. There’s a good way to make almost anything out of rhubarb. It’s like the Pumpkin of the Spring (I’m equally as flipped out over all things pumpkin which is what helps me make it through the fall). 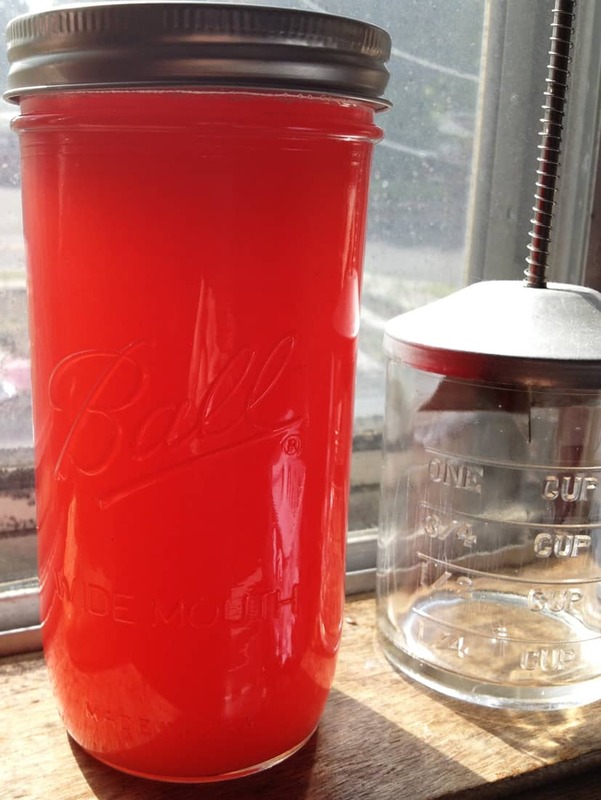 This week I made some simple syrup out of the rhubarb I had on hand and thought I’d pass along the recipe to you. Once the rhubarb is made into syrup, there are endless possibilities in the ways to use it…it can be made into all kinds of drinks (alcoholic or non), thickened for pancake syrup, added as a glaze over your desserts. Mmmm. And the great thing about it is that it’s easy to do! 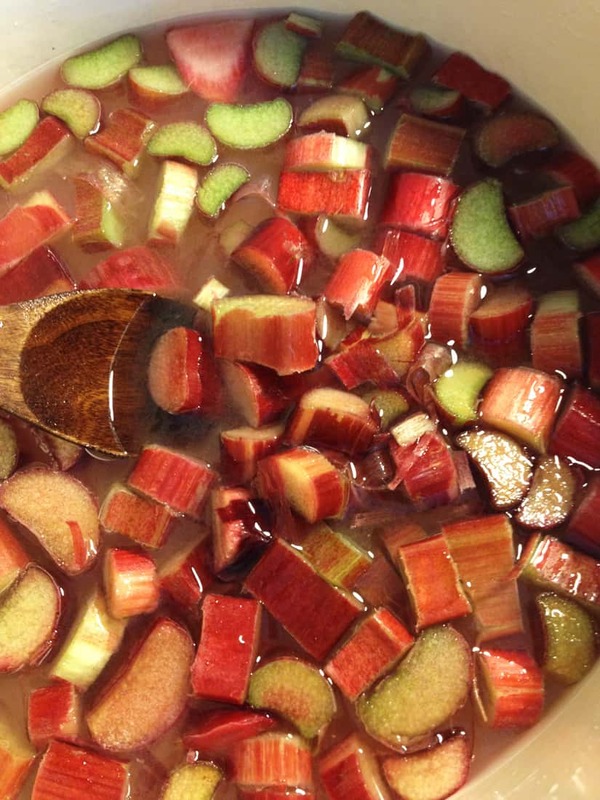 Just get some rhubarb, chop it into chunks, add water and sugar. The pucker-y sensation of rhubarb is transformed into a sweet liquid with a bit of an edge-y bite. Just enough. Mix everything together in a saucepan and bring to a boil. Reduce heat and simmer for 10-15 minutes until the rhubarb is soft and the liquid is a lovely pink. Strain (with a mesh strainer or cheese cloth) the chunks out (and store in a jar or other container you can close) in the fridge. First, because I can’t bear to throw away the stuff I strain out, I usually add the chunky part to icecream. Mmmm. Then you get two treats instead of just one. Today, after I made this syrup, I used it in a salad dressing that tasted great. It has a tart kick to it, so some of you might need to add a bit of sweetening to it. I liked it just like that, though. Mmm. To use the syrup on pancakes, etc. thicken it with your favorite thickening agent (ie flour, cornstarch, etc.) and serve it hot over you morning breakfast. Replace some of your liquid and sugar requirements in your frosting recipes with some of the rhubarb syrup. You get the idea. The sky’s the limit. But do it soon! Rhubarb season doesn’t last forever. Unfortunately. 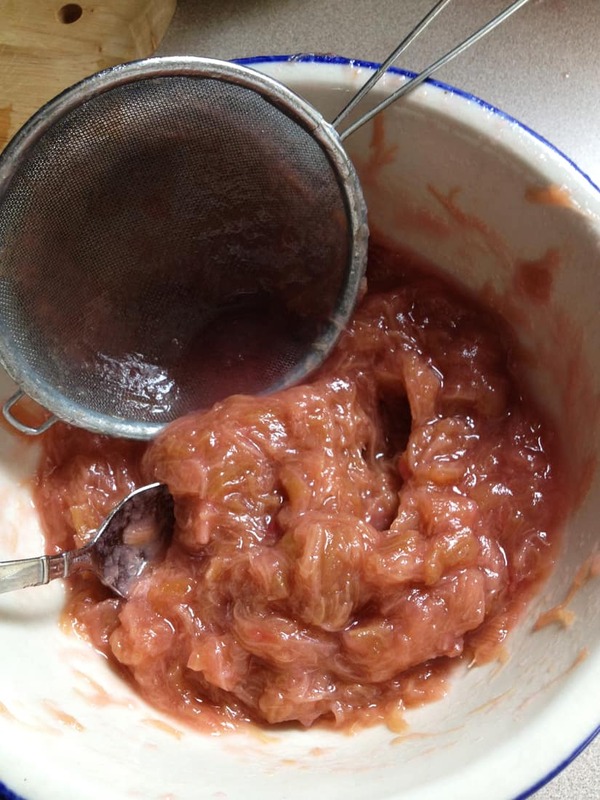 PS If you’d like some more great ideas on what to do with rhubarb, check out my sister’s post about their annual “Rhubarb Day” where they make all their meals and snacks for one day out of rhubarb. 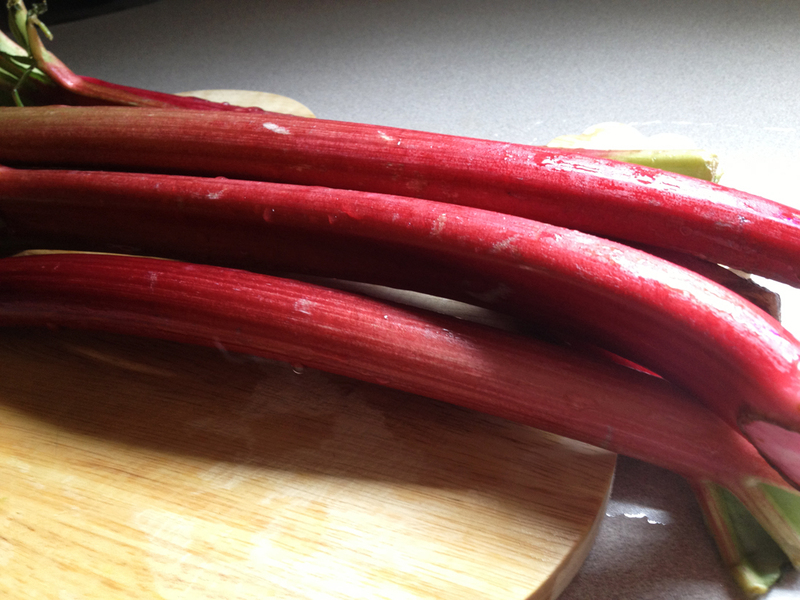 I’ve also got some recipes for how to make rhubarb ketchup and dandelion rhubarb pie (so good!). 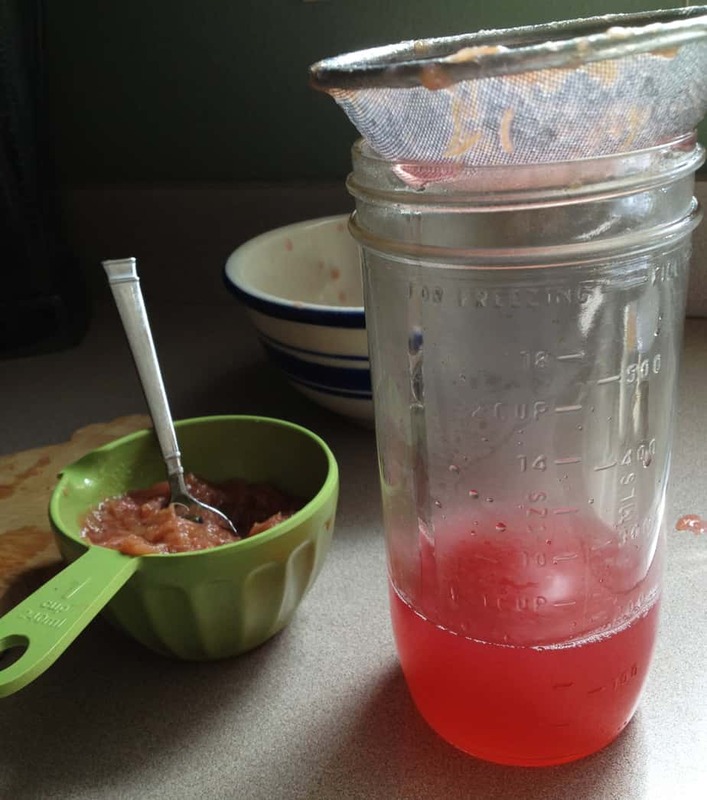 I also found this online resource for rhubarb drink recipes.